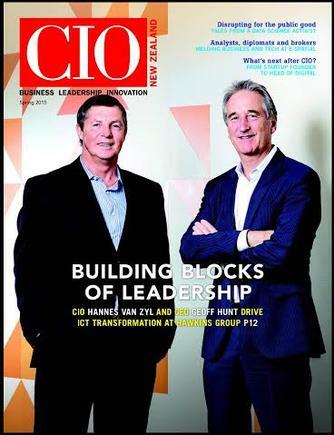 CIO New Zealand is moving to a digital edition starting with its current issue. The flagship edition, CIO100, will continue to be published as a magazine in both print and digital formats. CIO100 features the top ICT using organisations in New Zealand. It will be published in March 2016 when the research is released at the annual CIO100 breakfast forum to be held on March 22 in Auckland and March 23 in Wellington. The shift is in step with how readers are consuming information via digital platforms, on all devices for anywhere anytime access to content that supports them in their roles, explains Barbara Simon, publisher, enterprise division of International Data Group (IDG). IDG, the world's leading technology media, events and research company, publishes CIO New Zealand and its online brands Computerworld, Reseller News and PC World. To read a copy of the latest edition of CIO New Zealand, go here. The website www.cio.co.nz, which is updated daily, provides premium leadership and management resource for information and communications technology (ICT) executives and members of the CXO suite. CIO New Zealand also has a year-long program of events including the CIO100 breakfast forum, CIO roundtable discussions and CIO Leaders’ Luncheons.